Jon Cates is an enthusiastic member of the Palisades community, where he, his wife and their two children have lived since 1994. Jon was Board President of the Palisades Hills Homeowners Association for two years and served on its Board for seven years. Jon coached his son’s basketball and baseball teams, and plays basketball himself in several Palisades leagues. He is also an avid tennis player. Jon has lived in Los Angeles since his family moved from Scarsdale, NY in 1977. Jon attended Brentwood School, graduating in 1979. Jon earned a BA in Business Economics from UC Santa Barbara where he met and married his wife, Elena. He began his career as a Financial Consultant at Merrill Lynch earning his series 7 and 63 licenses. Jon transitioned to an entertainment career and spent fifteen years as a film editor working on both major and independent films and was a member of the editor’s guild. 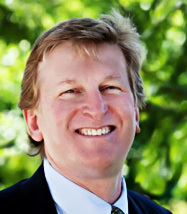 Jon diligently supports his clients in the buying and selling of houses, condominiums and multifamily properties in the Palisades and throughout the West Side. He works with clients serving both their real estate and real estate investment needs.